The National Testing Agency submitted had submitted an affidavit expressing its willingness to conduct the CLAT 2019 exam and onwards. NTA released the affidavit as a response to the Hon’ble Supreme court’s query asking for NTA’s willingness to conduct the Common Law Admission Test (CLAT). NTA has confidently submitted an affidavit stating its abilities to conduct the CLAT 2019 exam. To this, the Bar Council of India which majorly also conducts the All India Bar Examination(AIBE) expressed its prerogative to conduct the CLAT 2019 exam. The Bar Council of India had expressed its interest to conduct the CLAT exam way before NTA. 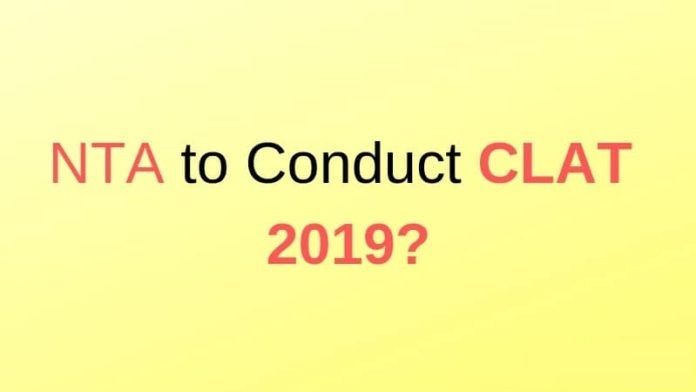 However, it is very unlikely that any of the NLU or Bar Council of India will conduct the CLAT 2019 if the Supreme Court agrees with the National Testing Agency. In lieu of the majorly misconducted CLAT 2018 exam, the Supreme court had passed an interim in which it stated that it is not satisfied with the way the exam got conducted. Further, the Hon’ble court mentioned that the conducting body should have arranged facility of uninterrupted UPS and generator facility and directed Union of India in MHRD to appoint a committee to look into the matter. The formed committee will also make sure that proper arrangements of the facilities are provided to the students so that the students do not face any blunders. The CLAT 2018 exam that was conducted by NUALS Kochi on May 13, 2018 was attacked with technical glitches that shook a lot of students. Sify Technologies Limited was the technical partner of National University of Advanced Legal Studies for the Administration of CLAT 2018. These glitches caused as many as 59,300 students their valuable time which resulted in filing of Police Complaints against the conducting body. Because of such major blunders going on in past year’s as well, in the fourth meeting of the Consortium of National Law Universities, it was decided that CLAT 2019 exam will be conducted in the offline mode. The supreme court also thinks that the idea of various NLU’s conducting the exam needs to be revisited. The Hon’ble court states that against the fee amount made over to the conducting body, the fee charged from the students is far in excess. The committee formed by the Ministry of Human Resource Development (MHRD) in its report dammed NUALS Kochi for making 90-90% profit of the blunderous CLAT 2018 exam. The committee believes that the CLAT Application form should not cost more than Rs 1500/- to the students. However, as of now no change with regard to the CLAT 2019 Application Fee has been seen. The CLAT 2019 Application form still going to cost Rs 4000/- to the students. As decided earlier CLAT 2019 will be conducted by National Law University, Odisha. No official change has been instructed so far by the Supreme Court. The exam is going to be conducted in the pen and paper mode on May 12, 2019. students can register themselves from the first week of January 2019. According to the provisions set by Law for the Bar Council of India such as the functions of Bar Council of India and the General powers of the Bar Council of India to make rules, it is evident that the answering respondent has the responsibility to make sure to promote legal education and maintain the standard of legal education. Only the Bar Council of India has the function of conducting the tests and MHRD has no responsibility in such matters. In the interim, the Hon’ble court also stated that the Bar Council of India has been successfully conducting the All India Bar Examination since 2011. Insofar there has been no complaint with regard to the conduct of the AIBE Exam. However, the final decision for the conduct of CLAT 2019 exam is in the hands of the Supreme court.